Are you a sports enthusiast? If the answer is yes, you have to go come to Alicante. Our Mediterranean city has everything to lead a healthy lifestyle. It’s the ideal destination for water sports like diving and sailing, it offers tons of public sports facilities. What’s more, the city has many routes with fantastic views to practice running, which is why in this post we want to share some of them with you. Running is a popular activity all over the world, which keeps attracting more followers. It is also a great way to explore a destination off the beaten track, disconnect from the routine and stay healthy and active. 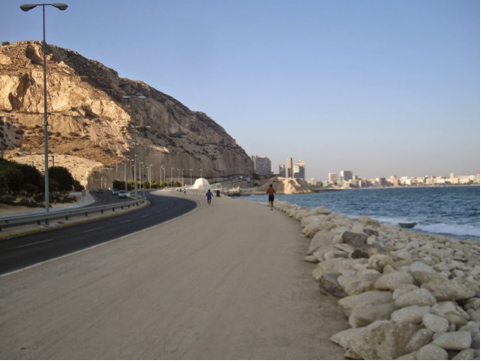 We want to suggest the perfect route for you to enjoy great urban and coastal views here in Alicante. The suggested route is 8,8km long and so you can separate it into parts. We begin our run in the Hotel Alamo and continue along the pretty Explanada walk before turning right and running alongside the promenade. To reach it’s end will take you about 15 min, and when you get back you can continue running right by the Postiguet beach. 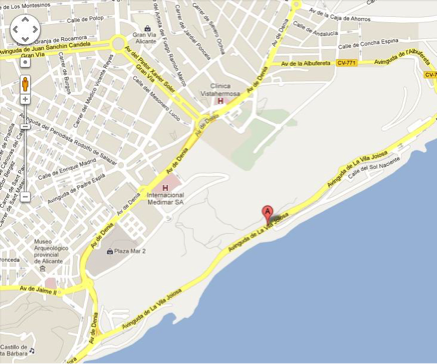 If you finish the route upon arrival at Postuguet and jog back to the hotel, the distance covered will be 6,4km. We recommend that you try running this part of the route during sunset, as the views then are spectacular. The second half of the route is a bit more challenging thanks to the hills you will find on the way. But the views are worth it! Begin at the end of the Postiguet promenade and keep running straight until a small rocky beach. 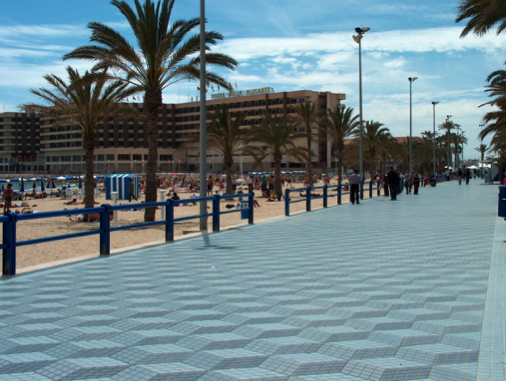 From there you will have to follow the main road, Avenida Villajoyosa, but you will find a great and recently renovated path for pedestrians which even has public sports facilities on the way! 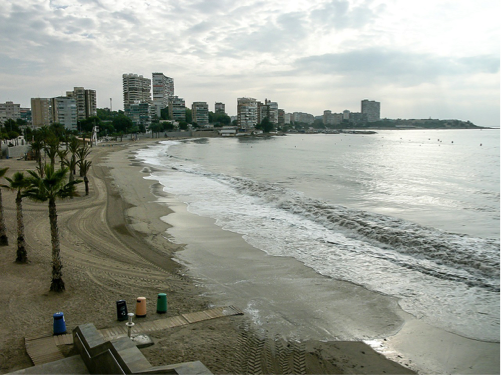 Jogging along the road for about 30 min with some great coastal views will get you to the Albufereta beach, where you can go for a swim and sunbathe a little before running back. This part of the route is 8 km long both ways, and running 1km more will get you back to the hotel. We hope you will enjoy the suggested route! 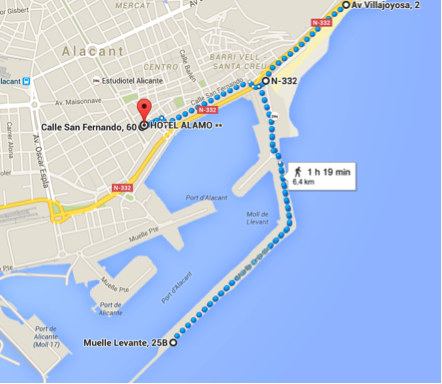 Do you have any recommendations for where to jog in Alicante? In December “Christmas Kids” of the Culture Classroom of the Caja de Mediterráneo Foundation of Alicante.